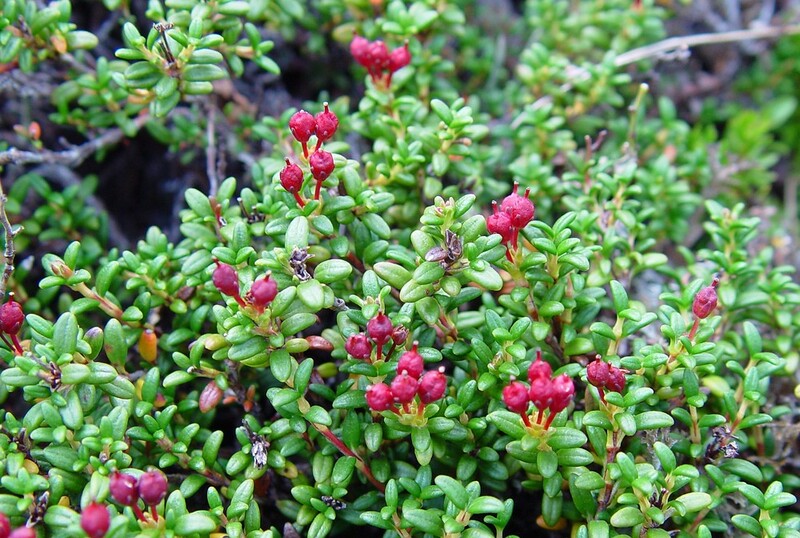 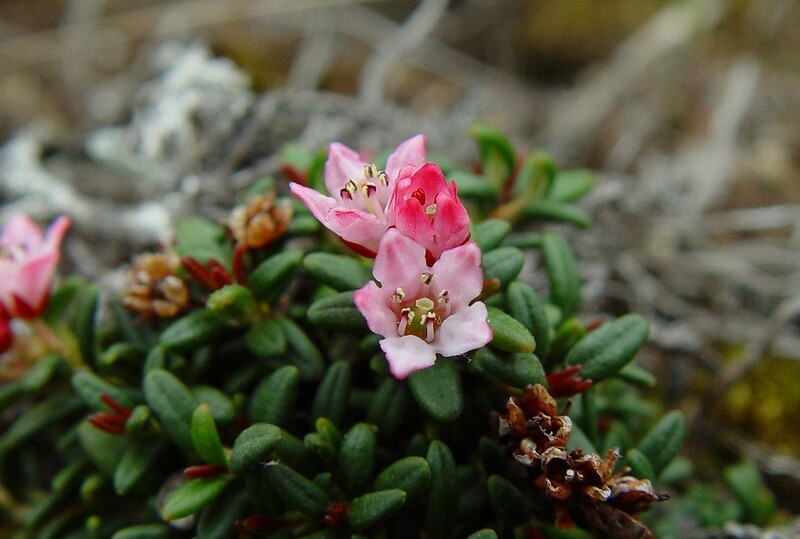 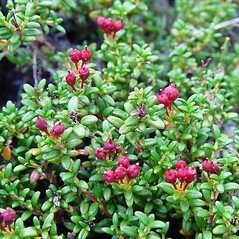 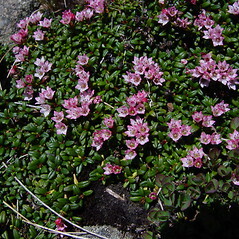 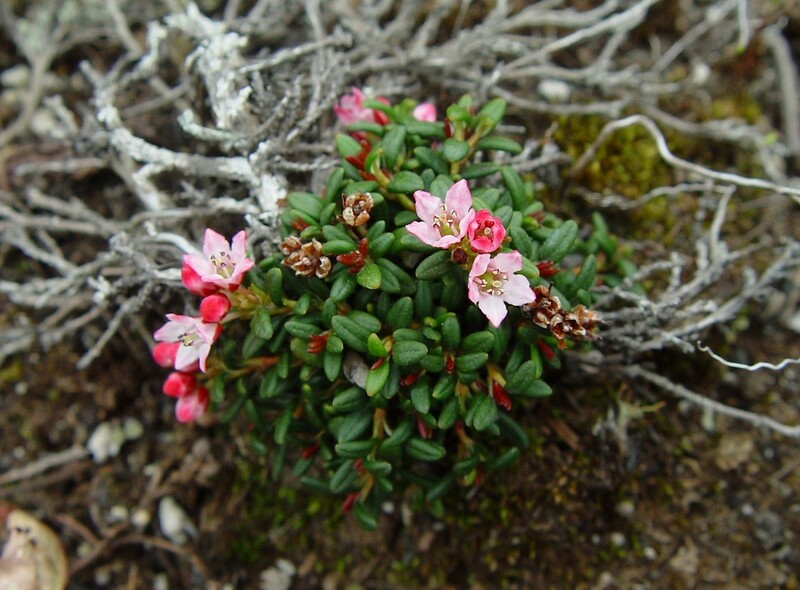 Alpine-azalea is a small shrub that foms cushiony mounds no more than 4 inches (10 cm) tall. 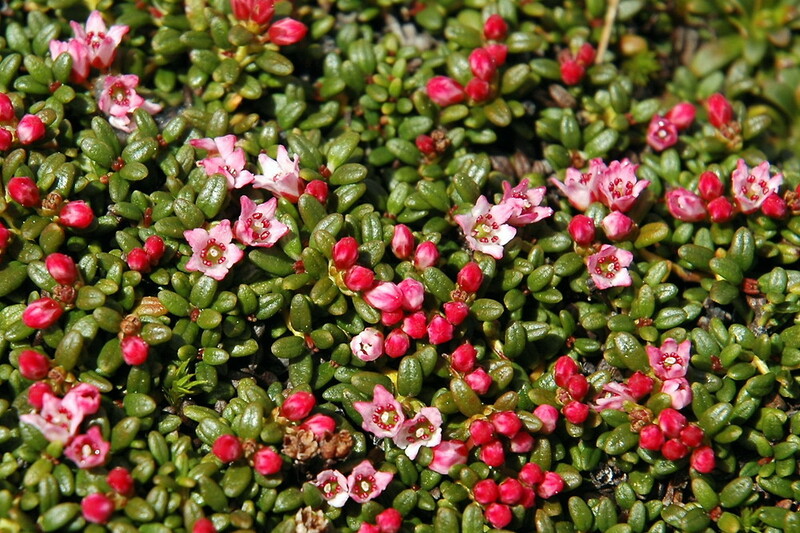 It inhabits northern, alpine regions around the world but in New England is only known from our higher mountains in Maine and New Hampshire. 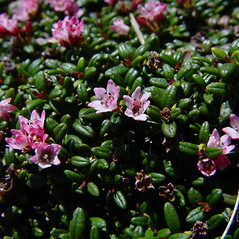 Tiny pink, crown-shaped flowers are produced in June to August, tucked in between the leathery, opposite leaves. 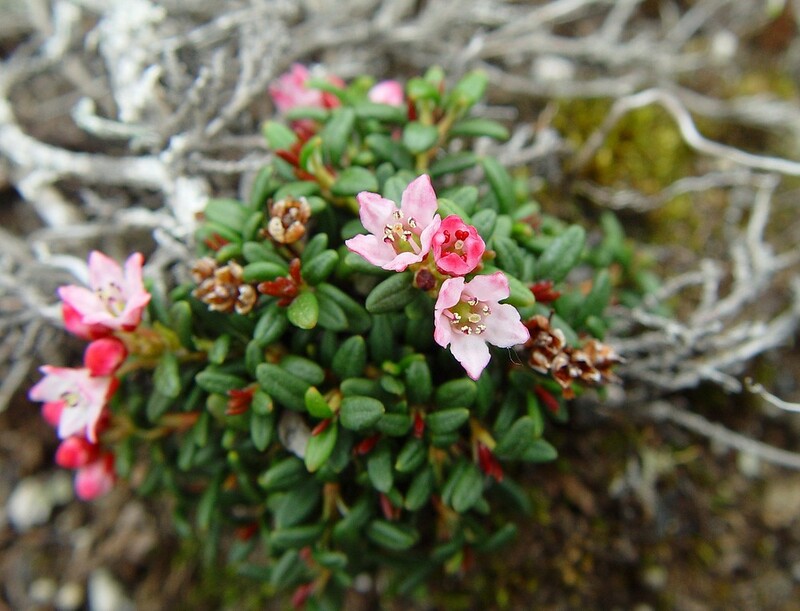 Its tight growth form and tough leaf cuticles protect it from the cold, desiccating winds that blow all summer across mountain summits. 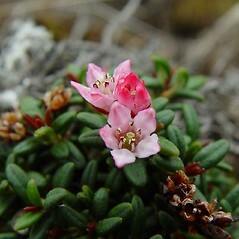 alpine-azalea. 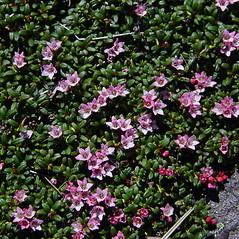 Azalea procumbens L.; Chamaecistus procumbens (L.) Kuntze; Loiseleuria procumbens (L.) Desv. 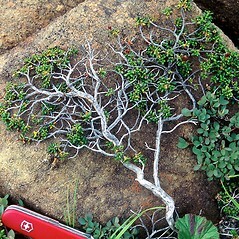 • ME, NH. 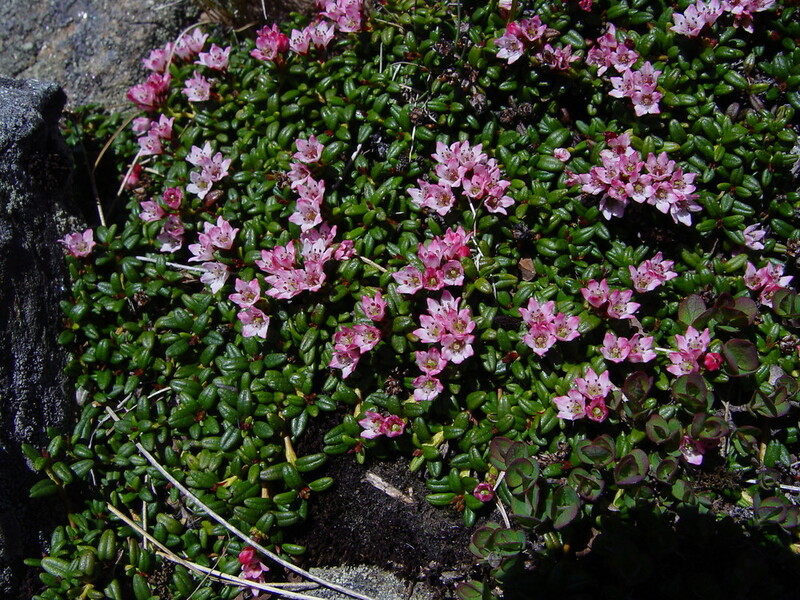 Alpine ridges, plateaus, and gullies. 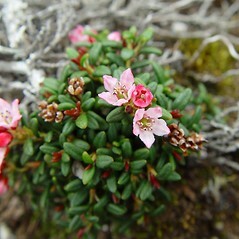 This species was first combined under Kalmia without reference to the basionym in 2002 (as Kalmia procumbens (L.) Gift, Kron, & P.F. 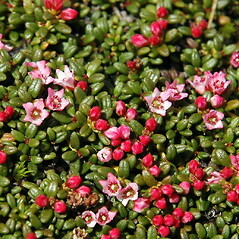 Stevens). 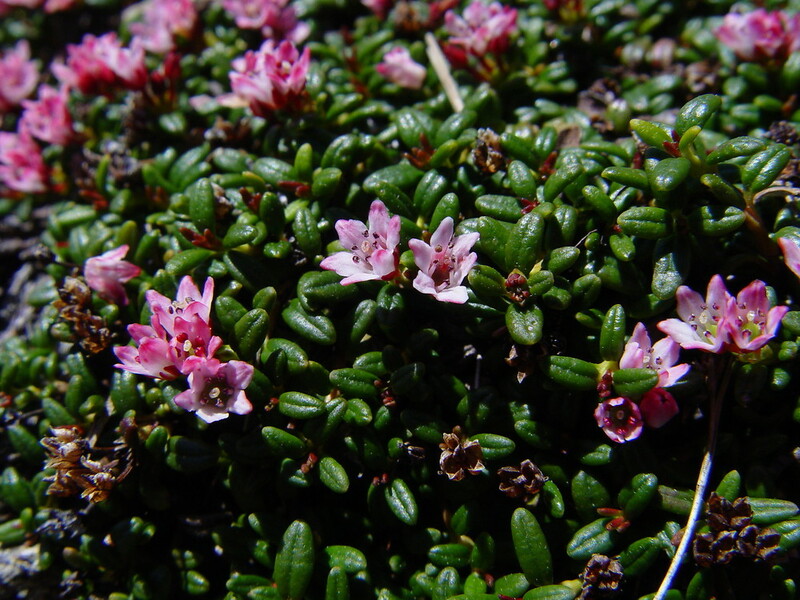 It was later corrected by Gift and Kron in 2008 (as K. procumbens (L.) Gift & Kron), but only after this error was already remedied by Galasso et al. 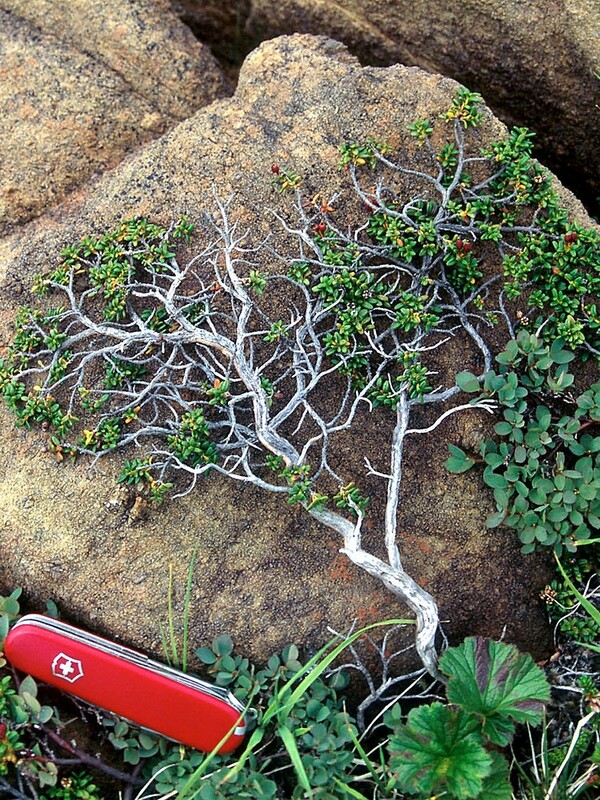 in 2005 (as K. procumbens (L.) Gift, Kron, & P.F. 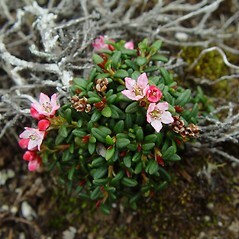 Stevens ex Galasso, Banfi, & F. Conti). 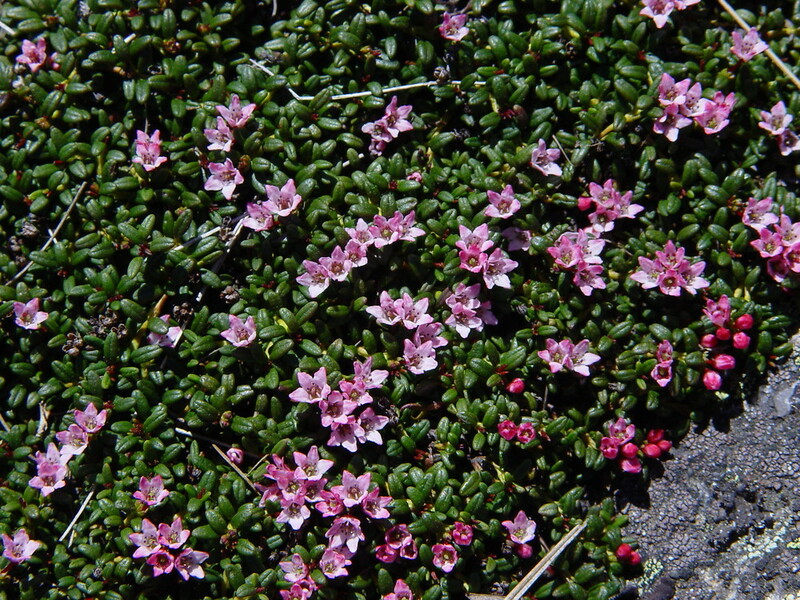 Therefore, astute students may notice three different naming authorities ascribed to K. procumbens in various works.